A driving licence is required to operate a motor vehicle on a highway and most roads. The Driver and Vehicle Agency issues various categories of driving licences that entitle licence holders to operate specific types of motor vehicles. Each category relates to motor vehicles with defined specifications, such as weight, seating and maximum speed. In order to legally operate larger and many specialised or commercial vehicles, specific types of driving licences are required. Examples of these vehicles include lorries, buses and minibuses, tractors and mowing machines. 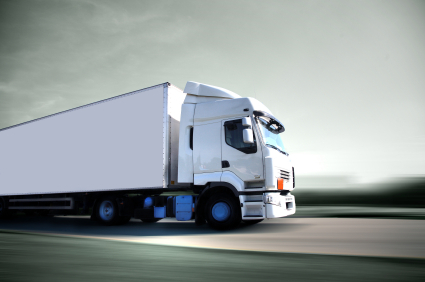 Drivers operating large motor vehicles that weight over 3,500 kg are required to hold a Category C licence. A Category C licence also designed for drivers of a large vehicle who attach trailers that weight no more than 750 kg. A Category C+E licence is required when a driver intends to operate a larger vehicle that is attached to a heavier trailer. The Category C+E licence is suitable for operating a large vehicle with a trailer that exceeds weights of 750 kg. Drivers must be at least 21 to qualify for a Category C or C+E licence. A D1 licence is designed for drivers of medium-sized motor vehicles, including minibuses. Medium-sized motor vehicles include minibuses with between 9 and 16 passenger seats. The maximum length of the minibus must not exceed 8 metres. A Category D1-licenced driver can also operate a minibus with a trailer that weights up to 750 kg. In order to hold a Category D1 licence, a driver must be 21 years of age or older. To operate a minibus with a heavier trailer, drivers should hold a Category D1+E licence. This licence permits drivers to operate a minibus attached to a trailer with a weight of over 750 kg. When fully loaded, the trailer should weight less than the motor vehicle and the combined weight of the vehicle and its trailer should be no more than 12,000 kg. Similar to most driving licences for larger motor vehicles, the minimum age to apply for a Category D1+E licence is 21. Bus drivers operating a vehicle with more than 8 passenger seats must hold a Category D licence. The Category D licence also permits individuals to drive buses that are attached to a trailer that weights up to 750 kg. In order to operate a bus with a heavier or larger trailer with a weight of over 750 kg, a Category D+E licence must be acquired. The minimum age whereby a driver can obtain a Category D or Category D+E licence is 21 years of age. A variety of driving licences must be obtained in order to operate specialised types of motor vehicles. Similar to other licences, applicants must pass a test to obtain these licences in order to operate these vehicles legally on all highways and most roads. Examples include agricultural vehicles such as tractors and certain construction machinery such as a road roller and tracked vehicles. A Category F driving licence is required for drivers that intend to operate agricultural tractors on highways and most other roads. Similarly, a Category G licence is needed for operators of road rollers. For tracked vehicles, a Category H licence is required. A Category K licence is needed when driving a mowing machine or a vehicle that is controlled by a pedestrian. A Category L licence was once needed for operating electric vehicles. Since 2001, Category B1 and B licences are used for electric vehicle operators and tests are no longer available for L licences. In order to obtain a Category F or K licence, a driver is required to be at least 16 years of age. To hold a Category G or H licence, the minimum age is 21.